Finnish sauna and similar amenities are used in all corners of the world for at least 2000 years. And it’s not accidental, as sauna has many health benefits. You’ve, probably, heard about some of them like relaxation and improved circulation, but you definitely couldn’t think of some other amazing effects of regular sauna bathing like antidepressant, analgesic and even weight loss. 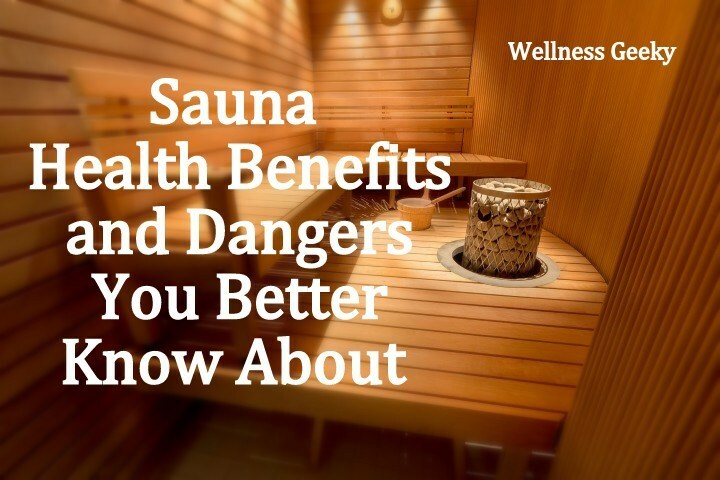 Despite that improved blood circulation is commonly known the effect of the sauna, not many are aware of additional benefits connected to it. The most simply improved circulation means that all necessary nutrients and oxygen will get to the every cell faster (even in such “rural” areas as your extremities aka feet and hands) and all Carbon dioxide, metabolites, and toxins will be removed from your body faster and more efficiently too. Better blood supply to fat tissue also helps to reduce cellulitis. Nerdy note: The effect of improved circulation is achieved by vasodilation (widening of your blood vessels) and increased heart rate. Dilation of your blood vessels also helps to lower your blood pressure. It was shown that sauna bathing has a positive influence on hypertension. And together with nitrate-rich plant foods and low sodium intake, could be a holistic way to treat high blood pressure condition. You can read more about positive effects of nitrates on hypertension here. Heart rate increased from heat exposure is also a mild heart exercise. That is very beneficial for everybody, but especially for people with health problems, who can’t engage in cardio exercise routinely. There are numerous studies backing benefits of sauna on heart health, even for people with congestive heart failure. One study showed the more often you go to sauna the less is your chance to die from heart attack. Another angle you can view increased heart rate and extra sweating in the sauna is an additional calorie burning and potential weight loss related to it. Skin is the largest organ of your body. You can help yourself to remove unnecessary minerals, metabolites, and excessive water, as well as harmful toxins by sweating them off in the sauna. Removing toxins and drug residues through the skin is so effective, that it’s used by drug-addiction rehabs for more than 4 decades in over 70 countries worldwide. In medical circles, this detox method is referred as Hubbard sauna regiment. It was also successfully used with 9/11 firefighters, who developed various health conditions after being exposed to harmful substances while working at the 9/11 crash site. Traditional medicine is divided on the opinion, whether Hubbard sauna regiment and similar programs, such as Dr. George Yu sauna detox protocol, are effective. Most doctors prefer not to embrace any detox methods due to the lack of research in this area. However, modern doctors don’t like to embrace anything new that doesn’t come in form of a pill, so better try by yourself, and see a difference. But be mindful that some trace elements as zinc, copper, iron, nickel, chromium, and molybdenum can leave your body with sweat. So make sure you eat foods or drink enough fluids rich in those elements or take supplements if you feel like you really need it. Sweat is pushing out many impurities (like dust, makeup, and bacteria) and skin fat (sebum) from your pores and reducing the number of blackheads and acne. Skin also benefits from improved circulation while exposed to heat. There are some skin conditions, which don’t like dry heat of the sauna. You can read about them below in the “Who should avoid sauna” section. Heat in the sauna helps muscles to relax. It also helps to reduce exercise induced muscle soreness. Nerdy note: Your muscles get sore from lactic acid accumulation (medial product from energy production in your muscles). Better blood circulation and heat help to use up accumulated lactic acid faster. Lesser lactic acid you’ll have in your muscles, lesser soreness you’ll experience. And due to the fact that heat-room exposure also increases muscle growth, the sauna can be a super beneficial post-workout. People with the rheumatic disease also experience less pain and better joint mobility with regular sauna exposure. Science also found that sauna has a positive influence on the immune system and your mood. One of the studies found that having a Finnish sauna session twice weekly for six months reduced the incidence of the common cold by 50 percent. Another study found that people have the increase in beta-endorphins after a sauna session. Endorphins are hormones, which known for their pleasure and analgesic effects. The most evolutionary valuable characteristic of all organisms including humans is the ability to adapt. When we meet something new or unfamiliar we stress first, but then we adapt and get used to it. The same with heat, more we exposed to heat, more easily we start to tolerate it, meaning that those hot summer days, aren’t so unbearable after all. And you can save more money on cooling or survive for longer in the desert, but I hope you would not need to. Despite the awesomeness of sauna, there are some contradictions for its use. Acute heart problems – such as unstable angina pectoris, recent myocardial infarction, severe orthostatic hypotension, and severe aortic stenosis. Pregnancy in the first trimester – the first trimester is the most vulnerable time for the fetus to be exposed to high heat, though the risk of birth defects is much lower for kids from mothers who visited sauna regularly before pregnancy, than for those who never used sauna before conception. And short sessions, when you just start to break a sweat, are totally safe, especially if you have a towel wrapped around your belly. Ingestion of alcohol – people who drank alcohol before sauna has increased the risk of hypotension, arrhythmia, and sudden death in the sauna. Certain skin conditions – people with atopic dermatitis can experience increased itching after sauna exposure as well as exacerbation of symptoms for cholinergic urticaria, abrasions, and oozing rashes. Males trying to conceive – regular sauna exposure has negative effects on sperm motility and sperm count. It’s totally reversible, meaning that after you stop using the sauna, everything will go back to normal. But if you’re a male, who’s trying to conceive, refrain from sauna use.There are no effects on male hormones, though, so you won’t have any change in your libido or sexual performance. Thus, from another hand, if you don’t plan to have kids, sauna will decrease your chance to get unplanned pregnancy. Taking blood-thinners - sauna is often not advised by MDs for people on blood-thinners, as an additional water loss will affect your blood thickness. Though, adequate water and electrolytes intake will restore any water and minerals lost in sweat-room. So if you’re mindful about keeping yourself hydrated, you can continue using sauna safely. 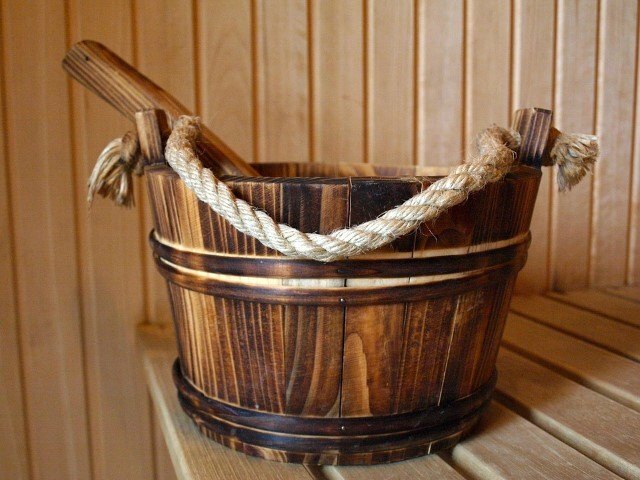 What is your favorite benefit of a sauna, share below in comments?